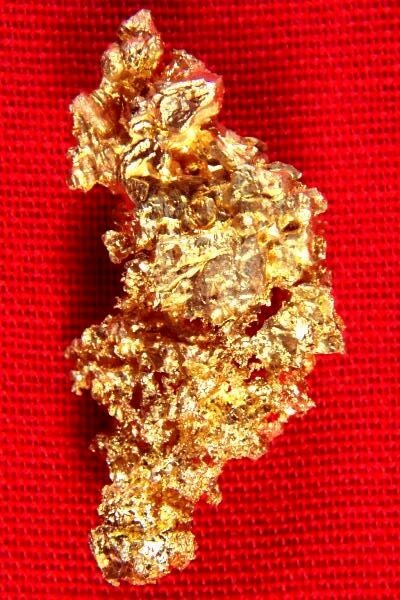 This gorgeous gold nugget from the Mockingbird Mine in Mariposa County, California is a mass of gold crystals. And to top it off they are formed into the shape of a Cardinal or a Bluebird. You can see the very distinct shape of the head with the crest on top and the rest of the nugget is formed like a bird perching. 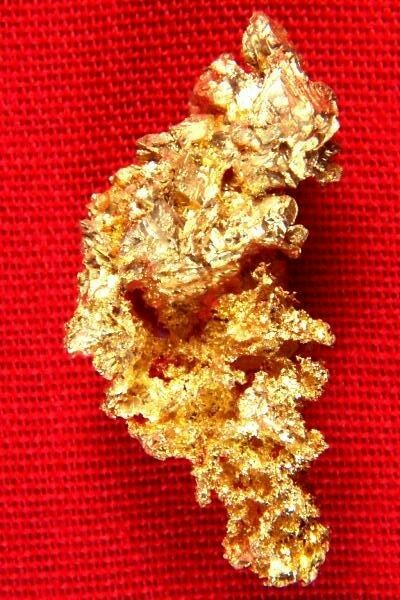 Rarely do you see such a unique and interesting formation of interlaced gold crystals as you can see on this spectacular crystalline gold nugget. This gorgeous specimen is 3/4" long and the weight is 44.4 Grains (2.88 Grams). My gold nugget crystal specimens are all carefully hand selected and of the highest quality available anywhere.